How can cognitive behavioral therapy be used to treat chronic sleep problems? Ever noticed racing thoughts or an inability to shut off your busy mind before you sleep? How about waking up in the night and planning the next day ahead when really you ought to be sleeping? Or is poor sleep getting you down, and making you feel anxious about what the night ahead may be like? Cognitive behavioral therapy for insomnia, sometimes called CBT-I, is an effective treatment for chronic sleep problems and is usually recommended as the first line of insomnia treatment. Our behaviour (in this case sleep performance) is impacted as the result of how we feel. How we feel is the result of how we think. Cognitive behavioral therapy (CBT-I) helps you change thoughts, to alter how you feel and eventually change your sleep performance. CBT-I helps you develop habits that promote a healthy pattern of sleep. 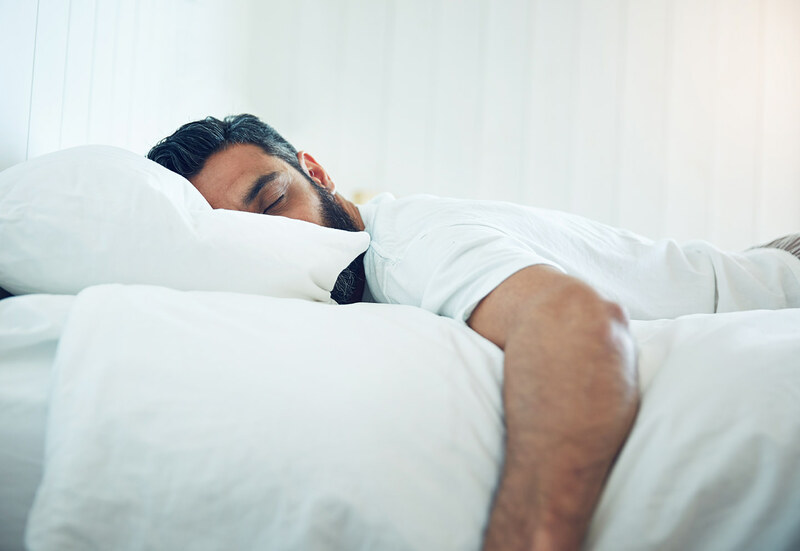 There are several ways that our Clinical Psychologist, Dom Vettise, can help you get not just a good night sleep, but maintenance of regular sleep. The basics involve knowing about good sleep hygiene. Dom's comprehensive assessment allows you both to work through things you do on a regular basis that disturb your sleep. Sleep hygiene consists of basic habits and tips that help you develop a pattern of healthy sleep. Other methods such as stimulus control and sleep restriction are also helpful in creating a positive response for bed and sleep time. This gives you a solid period of sleep and a more stable sleep pattern. Alongside such techniques and what makes CBT for insomnia most successful is relaxation, guided imagery and mindfulness training. Although mindfulness is a seperate therapeitic model to CBT, it can be used to help relax the body and mind to help create a a peaceful sleep. Finally, cognitive control or the ability to control your thoughts is the most successful aspect of CBT for insomnia. Particular negative thoughts or patterns of thinking increase worries and stress that keep you awake. Dom can help you identify and change attitudes and beliefs that hinder your sleep. Cognitive behavioral therapy for insomnia may be a good treatment choice if you have long-term sleep problems, you're worried about becoming dependent on sleep medications, or if medications aren't effective or cause bothersome side effects.